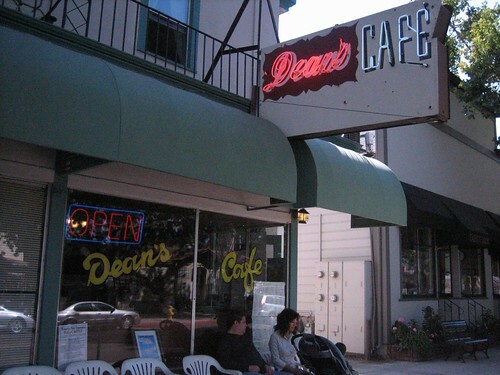 Instead of Dean's Cafe, this place should be called The Omelette. 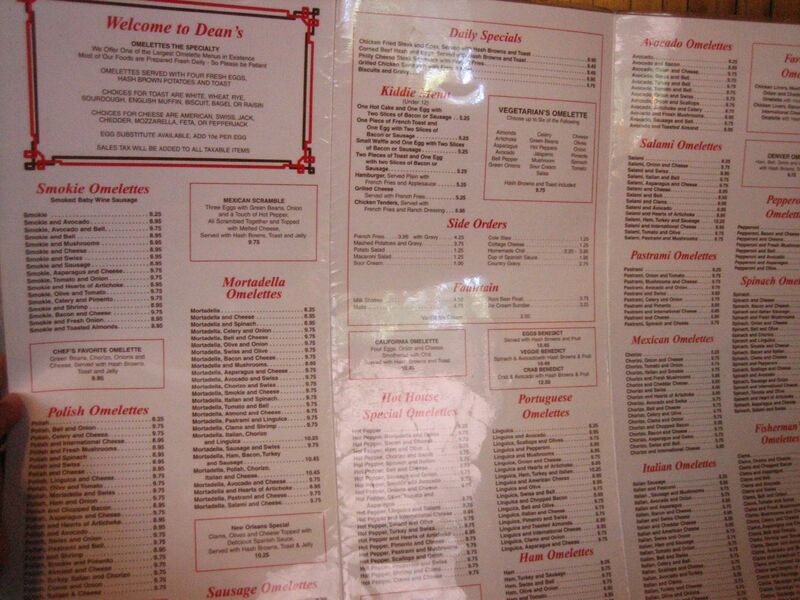 The large Denny's sized tri-fold menu is filled with at least fifty different omelettes. (Click on the menu pic to see for yourself!) The decor is faux wood paneling and a room full of 1960's style vinyl covered cushioned booths. This was a real blast from the past. Super casual and very old school, I half expected the waitresses to be named Flo and to be smoking as they took our order. The omelettes are huge belly busters, I asked for mine: green chili, chorizo and jack cheese, egg white only -- I suspect they put about eight egg whites in there to compensate for the usual four full eggs they put in each one. 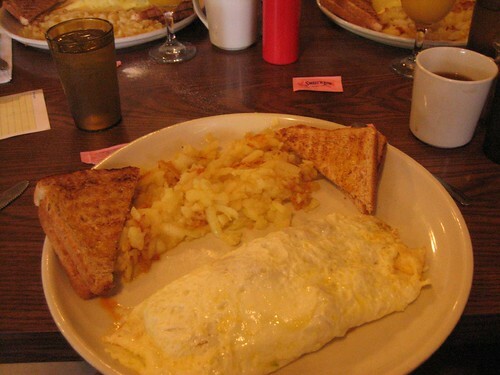 Not to mention that these omelettes came filled to the brim like a one pound Mission burrito! Just the thing for a post exercise meal. Only in Pleasanton.